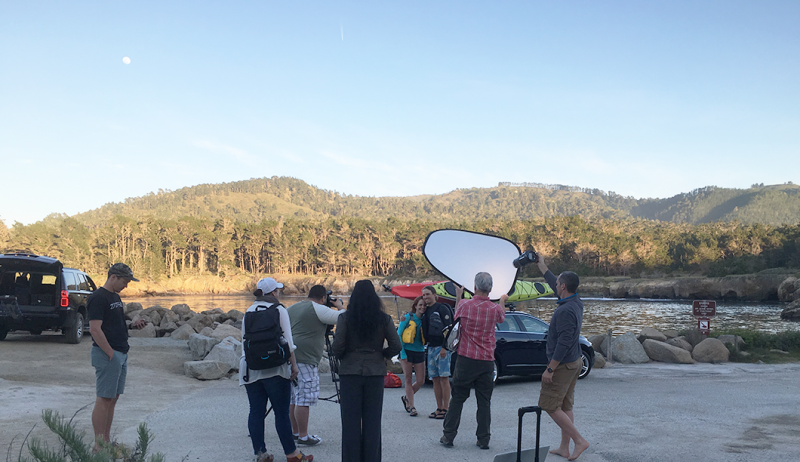 Today I modeled for Thule in Whaler’s Cove, Monterey. My mom and I made it into a road trip for Mother’s Day which made it incredible in more ways than one. That’s a story for another day (when I launch my blog). The print campaign for this shoot hasn’t been released yet, but when I get all the details, I’ll share them here. My on-set boyfriend and I played a kayaking couple using our spiffy Thule kayak rack. Thank you to the peeps at Thule and Traci at Halvorson Model Management for the booking.